Bard Composix Kugel Mesh Patches have been recalled because of safety issues with product defects. 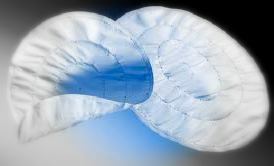 The patches, are used to treat ventral hernias, contain flexible rings that allow large patches to be folded for insertion through small incisions. Once the patch is in position, the ring pops open allowing the patch to be fastened flatly in place. If you have suffered serious injury as a result of a defective Bard Composix Kugel Mesh Patch, please contact Dr Shezad Malik Law Firm for a case evaluation. We can examine your case thoroughly, answer all your questions, and if you are eligible, help you recover compensation for your injuries, pain, suffering, missed work, medical expenses, and more. If you have been diagnosed with Kugel Mesh Injury or required repair surgery, you may be entitled to a substantial recovery to help with your treatment, pain and suffering. Time to file a claim, however, is limited. Contact us today to speak with a Dallas Fort Worth Kugel Mesh Attorney, 888-210-9693 ext 2. The Food and Drug Administration has received numerous reports of defective recoil rings breaking and exposing jagged, sharp edges. These sharp edges can cause serious internal injuries. If you or a loved one has suffered the serious side effects of a defective Bard Composix Kugel Mesh Patch, please contact us today. Dr Shezad Malik Law Firm handles Bard Kugel Mesh Injury Cases nationwide, including California, Florida, Illinois, New York and Texas. We can be reached at 888-210-9693 ext 2. Specific lots of the Composix Kugel Mesh patch were initially recalled in December 2005 by manufacturer Davol, Inc., a subsidiary of C.R. Bard, Inc., after it was discovered that the memory recoil ring, can buckle or break. These specific lot numbers of the Composix Kugel Mesh patch are subject to a Class 1 recall by the FDA, the highest level of recall. If the Composix Kugel Mesh hernia patch fails as a result of the memory recoil ring buckling, it can cause perforation of the intestines, ring migration through the abdominal wall, fistulae (an abnormal connection or passageway between organs or vessels that normally do not connect), abscesses, bowel obstruction and sepsis.